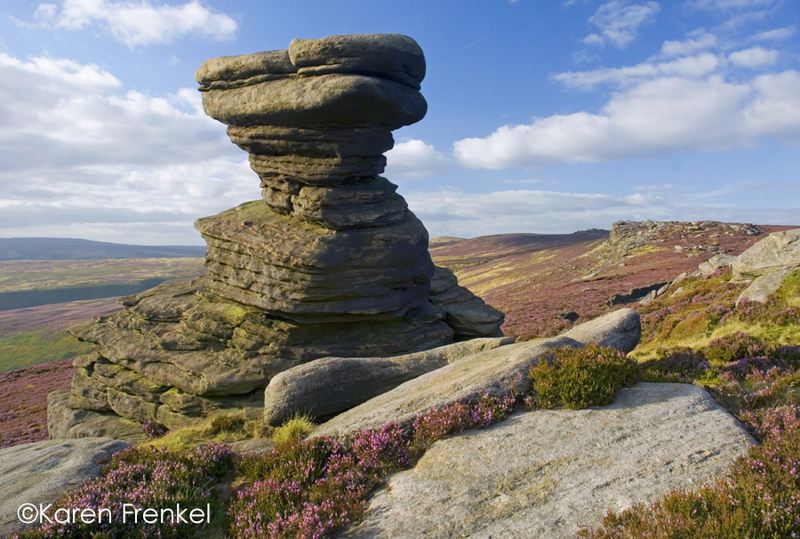 The Salt Cellar, Derwent Edge by Karen Frenkel is one of twelve photos by members of the Outdoor Writers and Photographers Guild we chose to decorate the ViewRanger offices, representing the best of UK outdoor photography. Standing high on Derwent Edge above Ladybower Reservoir at 480m, the Salt Cellar is a really wonderful place to be on a fine August evening despite the considerable effort required to get there. You can guarantee to see grouse on this wild moorland, the silence broken by its distinctive call. You may also be lucky enough to see a mountain hare as it dashes for cover amongst the boulders. I have spent a few years of wasted photography trips to this spot in order to get the right conditions. Either the sky is too blue and featureless or a bank of cloud develops just as I struggle to the top with all my gear. Sometimes, I cut it too fine and get there just as the sun drops down below the Kinder Massif. On this occasion, I got there a bit earlier and caught the light sculpting the contours of this lovely weathered gritstone outcrop as the sun popped in and out of the clouds. I positioned the tor on the left so that we can see Derwent Edge lit up as it snakes away into the distance towards Back Tor. Photographic equipment: Nikon D200, ISO 200, lens 18-70mm, F16, 1/16 sec F22, polariser, manfrotto tripod. Karen's interest in photography and wild places started in childhood; at the age of 12 she was given her first SLR camera. She would follow her parents around the mountains of northern Britain, then watch her father process her black and white film back in the garden shed. After a move to the Peak District National Park, inspired by the scenery, she quit her job in chemistry, in 1996, to become a full time landscape photographer. She is one of the few professional female landscape photographers in the country, respected for her knowledge of the Peak District and her ability to get the most out of its varied locations throughout the changing seasons and light. Her goal is to try and create photographic images that look like paintings. To do this in the field with a minimum of computational “fiddle” usually requires her to seek out unusual light or weather conditions, which she does with a passion. She considers time on the computer as life wasted so does as little manipulation as possible! Karen’s work has been published in books, calendars, tourist brochures and magazines throughout the country. 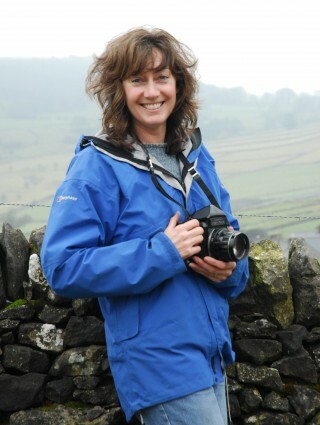 She runs her own greetings cards business and has recently written and illustrated two award-winning books, published by Frances Lincoln ‘Peak Landscape and Light – A Photographer’s Guide to the Peak District’ and ‘The Coast to Coast Walk’. She is a member of the Outdoor Writers and Photographers Guild and has been a landscape tutor for a number of years giving both private and group tuition.